We specialise in student accommodation in Swansea that makes that morning walk to lectures even quicker. What’s more, rent for students is relatively cheap and we offer deals on various houses and flats. You may want a flat to yourself or you could be a group of ten – we have something to suit your needs. The average degree lasts three years, which is a long time. We can make sure your accommodation is of a high-quality standard of living. All of our landlords ensure their properties are kept in a reasonable standard throughout the year, so when you rent a house through us, you are sure to find it in great condition. Our viewing times are designed to suit you. If you need a viewing later in the evening after regular working hours then all you have to do is let us know by contacting us. We will endeavour to arrange a viewing that is convenient for you. Leaving home for the first time can be an extremely daunting and nerve-racking experience. But once you are settled, you will thrive on your new-found independence living with your close friends. We help you through the entire process – choosing an ideal area all the way through to stepping over the threshold of your new home. This can be paid either annually or in monthly instalments. If you are renting a property on a group tenancy then you will be liable for only one license, however if sharers with individual agreements will need a license for each occupier that owns and uses a TV. If you're renting a room in a private hall, you need to check if you need a TV license for a TV in your living area or bedroom. You're also required to purchase a TV license if you watch live streaming via your PC or laptop. 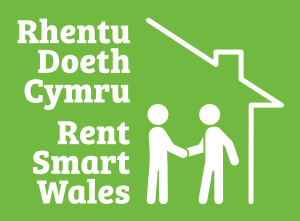 These are payable in a number of ways and it is advisable to check with your landlord/letting agent what exactly they require from you (many will ask for proof of payments before returning your deposit). Optional. Internet can be highly useful when it comes to coursework and revision, and more importantly, checking your Facebook! Definitely something to consider and well worth the money if your property will hold lots of expensive valuables. Whilst full–time students are exempt from this, part–time students are not. If you are planning on living with part–time students, you will need to take council tax into consideration. Optional, but worth thinking about if you're not so keen on house work!